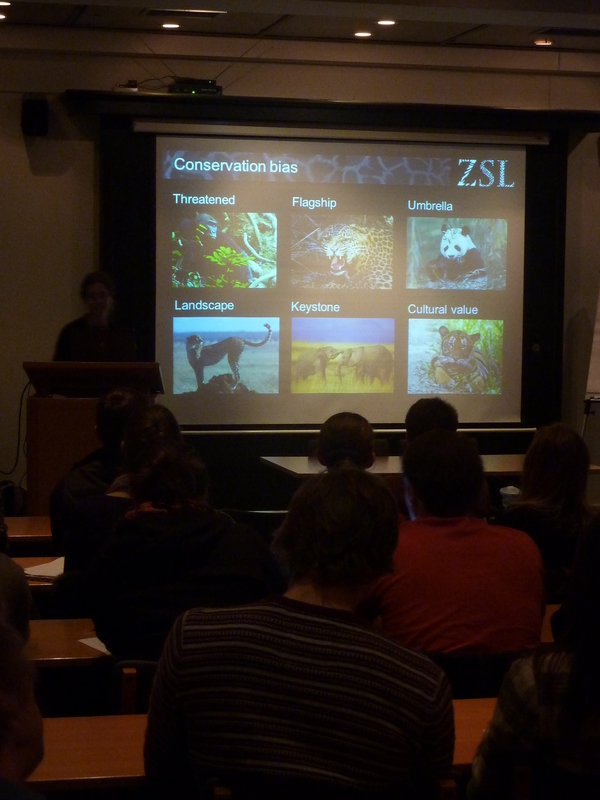 February 2013 brought us our first exciting joint event with BioSoc: A talk given by Carly Waterman, the EDGE Programme Manager. EDGE stands for Evolutionarily Distinct and Globally Endangered, and the project is all about saving the world’s most unusual creatures. We are all familiar with the reasons to focus on threatened or endangered species, but what does it mean to be Evolutionarily Distinct? The ED species are the ones that took a different evolutionary tangent to their relatives, or are the relic of a lineage that has otherwise already been lost. They have a genetic make-up that is particularly unique and different to their closest living relatives. These are the mavericks with an alternative way of adapting to their environment, the oddballs of our planet. One of Carly’s favourites is the Darwin’s frog; the caring adults keep developing young in their vocal chamber. These ED species are often overlooked by the bias in conservation efforts towards other species, but represent a disproportionately large amount of the biological innovation that’s evolved during the history of the Earth. This arguably means that they are worthy of special attention from conservationists – and that is what the EDGE Project is all about. The EDGE teams combine data on the evolutionarily distinctiveness of species with their threat status, to work out which of our most unique species require the most attention. This is done with a snazzy little formula. It requires two things. The first is a well defined phylogeny: a massive, detailed family tree of all the species in any particular group of plants or animals. The second thing is information on how close the species are to extinction: Red List data from the International Union for the Conservation of Nature (IUCN). High evolutionarily distinctiveness and high levels of threat lead to a high EDGE Score, and each species in the EDGE programme is ranked based on its score. 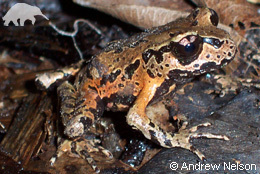 So far, EDGE scores have only been calculated for amphibians, mammals and corals. New groups can only be incorporated into EDGE when there is a resolved phylogeny and IUCN Red List data for them. However, EDGE list birds is due to be released later in 2013 The EDGE approach is also being extended to cover additional taxonomic groups, including sharks and gymnosperms (conifers and cycads). The species at the top of these lists really do require our attention. Soberingly, the no.1 EDGE mammal used to be the Baiji, or Chinese River Dolphin, which was declared functionally extinct in 2006. 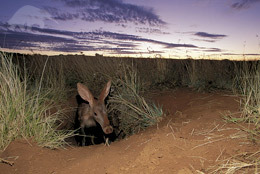 The number one mammal is now the Aardvark, and the EDGE program is contributing to efforts to ensure that this species does not go the way of its predecessor. EDGE helps to protect these species by funding research that documents their ecological requirements and current range or population size. The programme also directly sponsors conservation action that targets species on their list. 70 – 95% of the taxa that have been given an EDGE score are receiving no conservation action, and the programme is trying to rectify this. They are currently involved in projects in 12 different places across the world, including Sierra Leone, Mongolia, Sri Lanka, India, Kenya and Equatorial Guinea . Each is helping to build conservation capacity in the places where priority EDGE list species occur. One particularly successful component of the EDGE project is their sponsorship of conservation Fellows. These are individuals with the opportunity and expertise to work on EDGE species who get support from the programme to carry out their work. Since 2007, EDGE has supported 28 fellows from all over the world, and is still looking for new Fellows to support for 2 year placements. So, do highlight this opportunity to any contacts that you might have who are interested, and you might be the link that gets an EDGE species some more help. Carly’s talk was full of other interesting information about EDGE, much of which you can find at their website WWW.EDGEOFEXISTENCE.ORG. It is particularly worth scrolling through the lists and looking at all the amazing species they have fact files on. Thanks Carly for coming down to give a talk, and BioSoc for inviting us to be involved!